Note: This item ships via freight! 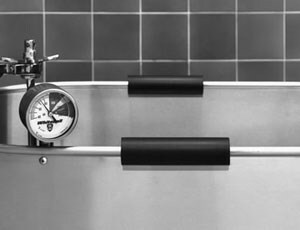 Specialized Podiatry Whirlpools provide the ultimate in hydrotherapy treatment for the foot and ankle areas. The powerful yet quiet 1/2 horsepower turbine motor creates a soothing, cleansing and relaxing treatment for the patient that aids in rehabilitation. This model provides a mobile unit with handle. Dimensions: 22" x 13" x 12"
This arm rest is used for supporting the arms or hands on either side of the whirlpool tank.It is fabricated entirely from Type 304 stainless steel and polished to a satin finish. Appropriate for all whirlpools except P Series. 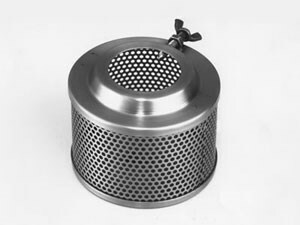 This stainless steel strainer is designed for use with any Whitehall hydrotherapy whirlpools or Full Body Immersion Tanks.The strainer screens out debridement to avoid clogging the pump. It easily dismantles for cleaning. 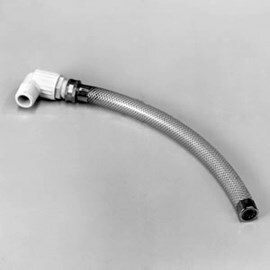 The rubber hand grips are designed to snap on to the rim of a whirlpool tank. The grips are made from cylindrical rubber, 1-1/2 inches (38.1 mm) diameter and 6 inches (152.4 mm) long. 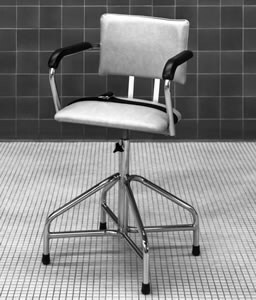 This chair is designed for use with either mobile or stationary whirlpools to facilitate treatment of the lower extremities. The Adjustable Low Chair can be adjusted from 24” to 29”. This chair is constructed from heavy gage tubular steel. This chair feature a reinforcing brace, arm rests, padded seat and back rest. Protective rubber bumpers and restraint belts are also provided. 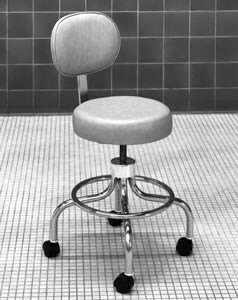 This stool is adjustable from 18" to 28" in height and is designed for use along side a whirlpool. 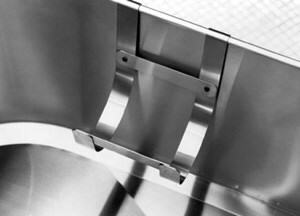 It is constructed from heavy guage, chrome-plated tubular steel. The stool features 2" swivel casters, a padded seat and back rest.